A great daily source of fiber. 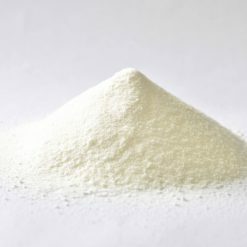 Athlete supplement programs are usually comprehensive , but fiber supplements are easy to forget. 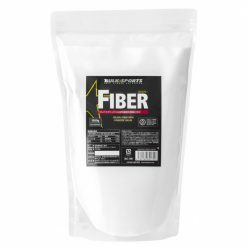 Recommended daily intake of dietary fiber is about 30g. Easily meet your daily requirements with Bulk Sports Fiber! 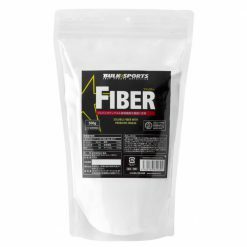 Bulk Sports Fiber is a blend of indigestible dextrin and prebiotic dietary fiber ” inulin “. Since the taste is mild and it dissolves easily in any beverage, this is a great way to get your fiber! Take 1 scoop (4.2g) mixed into 150-200mL of water or the beverage of your choice. You can also mix with juice or a protein shake. Taken with Bulk Sports Digest increases the intake of prebiotics and probiotics. Keep tightly sealed after opening and use as soon as possible prior to expiration.